From 1870–1871, Europe was torn by the Franco-Prussian war and Louis-Napoléon Bonaparte III (1808–1873, emperor from 1852–1870) fell from power on 4 September, 1870. The Republican government that replaced Napoleon was in turn challenged by the revolutionary Commune (18 March to 28 May 1871), and at the time in the English and French press the Commune was seen as closely tied to Marx’s First International, which after years of obscurity earned him a public notoriety and he became a public figure (Sperber 2014: 379–380, 503; Hunt 2009: 255). Marx’s pamphlet The Civil War in France (1871) praised the Commune as a communist government, but recent research suggests that the Commune was more a radical middle class government than a communist one, so that Marx’s support for it was paradoxical (Sperber 2014: 382). 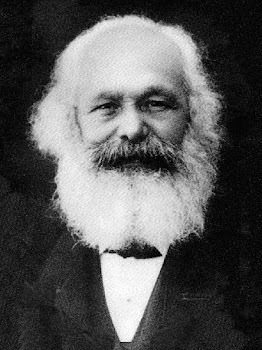 The opposition to Marx’s support for the Commune caused him to withdraw from active political activities after 1871. It also caused a split in the International as the English trade union leaders Benjamin Lucraft and George Odger resigned and associated themselves with the Liberal party (Wheen 2001: 330). The First International had always been an unstable mix of trade unions, Proudhonists, revolutionary Blanquists, utopian socialists, anarchists and radical nationalists (Hunt 2009: 255–256), and by 1871 it had descended into fratricidal squabbles involving the supporters of Bakunin (Wheen 2001: 339–340; Hunt 2009: 258–260). At a famous meeting in September 1872 in the Hague, Bakunin was expelled from the International and the General Council was moved to New York, which effectively killed the International so that it dissolved in 1876 (Wheen 2001: 344–347; Hunt 2009: 260). It was not until 1889, well after Marx’s death, that the Second International (1889–1916) was formed, and only by 1891 that Marx’s ideas had become highly influential within it (Hunt 2009: 255). Marx suffered one of his regular health breakdowns in 1873, which stopped him from working for months and which forced him to withdraw from activism (Sperber 2014: 503). In 1874, as he departed for the spa town of Karlsbad in Bohemia (which he also visited in 1875 and 1876), Marx applied for British citizenship but was turned down (Wheen 2001: 356). In 1875, Marx moved to 44 Maitland Street and lived here until he died (Wheen 2001: 359; Sperber 2014: 540). By the mid-1870s moderate socialist parties and leaders in Europe had risen to challenge the views of revolutionary communism and of Marx in significant ways. In Germany, in 1875 the Socialist Workers’ Party of Germany was founded, which became the modern Social Democratic Party of Germany, and it adopted a moderate program that Marx opposed. Marx’s Critique of the Gotha Program was based on a letter he wrote in 1875 but was only published in 1891; it was directed against the political and economic program that the new German party adopted, which had been influenced by the ideas of Lassalle (Sperber 2014: 526). Marx’s private critique was ignored and the Socialist Workers’ Party of Germany adopted the Gotha program, and prefigured the so-called “revisionism” of later socialists who abandoned Marx’s violent revolutionary ideology (Sperber 2014: 529). It is most interesting that Marx did not see the economic problems of the 1870s (stock market crashes, recession and deflation) as the final crisis of capitalism, but thought that the final crisis was still some way into the future (Sperber 2014: 523). By 1877 he was certain that he would not live to see it (Sperber 2014: 539). Marx’s wife Jenny died on 2 December, 1881 and Marx was struck with bronchitis in the following years until his death (Wheen 2001: 376). To escape the bad climate of London, in the winter of 1881 to 1882 Marx lived on the Isle of Wight (Sperber 2014: 543), and then Marx travelled to Algeria on 18 February, 1882 and spent 3 months there (Sperber 2014: 543). The photo below of Marx was taken in 1882. Curiously he had his beard shaved off on 28 April 1882 in Algiers (Wheen 2001: 379). Marx then went to Monte Carlo, Artenteuil, and Vevey in Switzerland, returning to London in October 1882 (Wheen 2001: 377). But he returned almost immediately to Ventnor on the Isle of Wight and stayed there until January 1883 (Wheen 2001: 377). After he was informed of the death of his daughter Jenny from cancer on 11 January, Marx returned to London (Hunt 2009: 277), but was affected by laryngitis, bronchitis, an abscess on the lung and insomnia (Wheen 2001: 381). Marx died in his home on 14 March, 1883 before 2.30 pm (Wheen 2001: 381). He was buried at Highgate cemetery on 17 March, 1883 in the same plot as his wife, but only 11 people attended (Wheen 2001: 382; Hunt 2009: 279). The large and famous monument that exists on the grave today was only built by the Communist Party of Britain in 1956 (Sperber 2014: 548) (this can be seen in a convenient video below). Marx’s papers passed to Engels and he was the one who edited and published volumes 2 and 3 of Capital in July 1885 and November 1894 respectively (Wheen 2001: 385). Engels also organised the first English translation of volume 1 of Capital that was published in 1887, translated by Samuel Moore and Edward Aveling (who had become the partner of Marx’s daughter Eleanor “Tussy” Marx in 1884). “Just as Darwin discovered the law of development or organic nature, so Marx discovered the law of development of human history: the simple fact, hitherto concealed by an overgrowth of ideology, that mankind must first of all eat, drink, have shelter and clothing, before it can pursue politics, science, art, religion, etc. ; that therefore the production of the immediate material means, and consequently the degree of economic development attained by a given people or during a given epoch, form the foundation upon which the state institutions, the legal conceptions, art, and even the ideas on religion, of the people concerned have been evolved, and in the light of which they must, therefore, be explained, instead of vice versa, as had hitherto been the case. Frederick Engels’ Speech at the Grave of Karl Marx, Highgate Cemetery, London. March 17, 1883. But Engels had already taken much the same view in the Anti-Dühring (1878) which depicted Marx as a scientist who had discovered a historical determinism to social and economic history (Sperber 2014: 550). Moreover, Engels’ presentation of Marxism in the Anti-Dühring (1878) and Socialism: Utopian and Scientific (1880) was profoundly influential in shaping the myth of Marx and a version of his economics to later communists, especially in the Soviet Union (Sperber 2014: 550; Hunt 2009: 300). Some scholars have argued that Engels reworked Marx’s thought (Hunt 2009: 280) and even that there were actually significant differences between Engels’ version of communism and that of Marx, such as in Norman Levine’s The Tragic Deception: Marx contra Engels (1975) (Hunt 2009: 301). To some extent some of these arguments are made by Marxists who want to whitewash Marx and exonerate him from the horrors of communism, but there seems to be some truth to the view that it was Engels who popularised Marx’s work in the 1880s (Hunt 2009: 282). Yet, at the same time, Marx seems to have fully endorsed the Anti-Dühring (1878) so that it accurately represented his mature thought (Hunt 2009: 301–302). By the 1920s onwards, a renewed interest in Marx’s older Hegelian texts encouraged an existentialist reading of Marx by Western intellectuals (Sperber 2014: 553), and a Structuralist, Poststructuralist and Postmodernist interpretation of them by the late 20th century. An interesting fact is that when Engels examined Marx’s manuscripts after the latter’s death he found that those for volumes 2 and 3 of Capital were far from a completed state, so that he had to edit them for publication (Hunt 2009: 303–305). Hunt (2009: 306) argues that Engels’ editing of volume 3 involved very significant changes to Marx’s manuscripts, including the amalgamation of some sections, the adding the subdivisions, even insertion of material by Engels himself and changing of Marx’s ideas about the tendency of the rate of profit to fall. It was apparently Engels who linked this to the final collapse of capitalism, not Marx (Hunt 2009: 306; see also the excellent discussion of Heinrich 2013). Engels died on the 5 August, 1895 (Wheen 2001: 385). Marx’s surviving daughters died by suicide: Eleanor in 1898 and Laura in 1911 (Wheen 2001: 386). Marx’s sole surviving offspring was his illegitimate son Freddy Demuth, who lived until 28 January, 1929. But there is no evidence that Marx, before his death in 1883, had ever had any affection for or serious contact with his only surviving son. Marx, Karl. 1887. Capital. A Critical Analysis of Capitalist Production. Volume I (trans. from 3rd German edn. by Samuel Moore and Edward Aveling). Swan Sonnenschein, Lowrey & Co., London. The ideas of surplus value, the ideas of industry leading the way for agricultural development, and all that other stuff you cite to Marx was there well before Marx. Actually, Alexander Hamilton talks about each of these issues well before Marx was even born in his reports to Congress. The excerpt you cite by Engels on the capitalist mode of production held by the bourgeoisie is something Alexander Hamilton emphasizes deeply throughout many of his works. This is why Hamilton was so strongly in favor of class mobility and where his real break with Burke and other British conservatives came (also about Hamilton's hate towards the aristocracy). Hamilton and the American School that followed viewed class mobility (both upwards and downards) as a requirement for a functioning capitalist republic (not a democracy, which they despised). BTW, the idea of the most adaptable being the most fit to survive wasn't an idea by Darwin, and it certainly wasn't said so in the political or economic spheres anywhere near Marx's time. That idea is a central theme to The Discourses on Livy by the fervent republican Nicolo Machiavelli. Actually, Machiavelli uses these ideas to support the political presence of republics over principalities. LK you watched this chapter book about Marx? In this chapter there are very interesting details. Including about Marx racism.